Could you see these home accessories in your interiors during the summer months?! The natural woven textures and vibrant, fresh colors speak summer. A seasonal accessory update is a great way to refresh a space without spending too much money. The product board shown above was inspired by tropical/beach landscapes, since that always comes to mind when I think of summer! The turquoise and coral color scheme that are on the accessory board above were inspired by the beach waters (turquoise) and tropical sunrises/sunsets (coral). 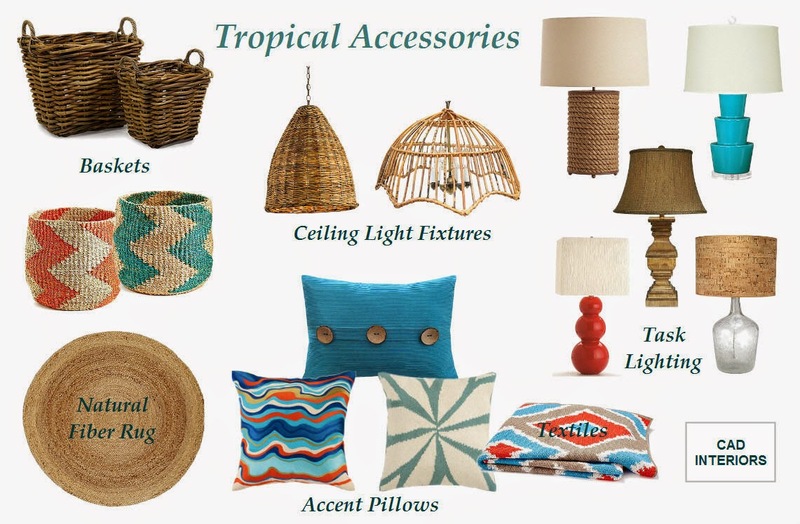 Until the next tropical vacation, I'll just be dreaming of the islands...and/or decorating with beach-inspired accessories!